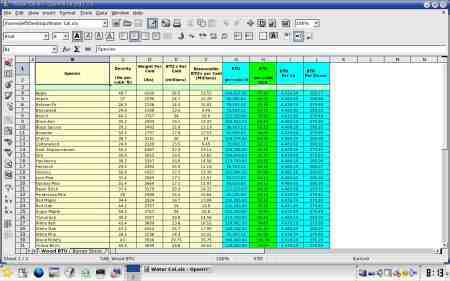 This excel sheet allows you to select the wood you are going to use for your tests. You input the weight of water, wood, pots and type you are using. This will calculate the BTU of the stove you have designed.